Any car can get you from A to B, but why settle for just any car when you could be riding in style? Mississippi has no shortage of luxury car dealers throughout the state that can help you find the ride of your dreams, often for less than you might think. Find top-of-the-line rides at the best luxury car dealerships in Mississippi. Known for their gently used selection of cars, trucks, and SUVs, Gulf Coast Exotic Auto takes a particular interest in luxury rides. Brands like Ferrari, Lamborghini, and Land Rover are no strangers to their inventory. If they don’t have it on their lot, they work hard to get it for you at a price within your budget. This place is your one-stop shop for a new-to-you ride. 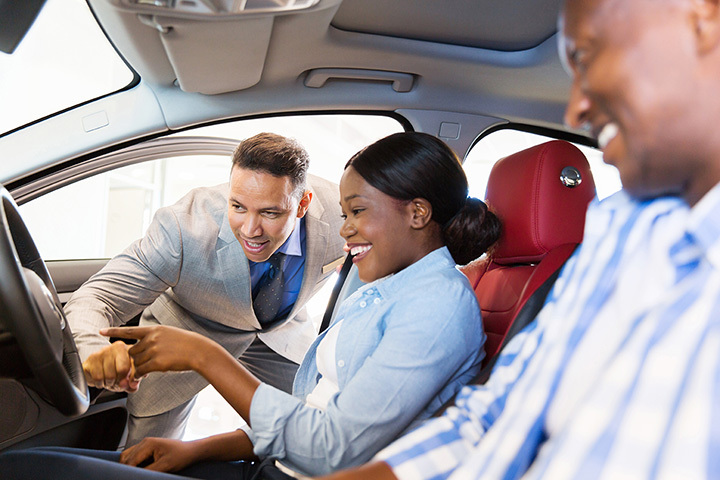 In addition to offering top names like Lexus, Audi, and Mercedes, they also provide financing to help you get the car of your dreams. If you didn’t know their cars were used, you’d swear they were fresh from the factory. Their all-star lineup includes previously owned cars from Bentley, Maserati, Rolls Royce, and Porsche, to name a slight few. They handpick only the best ones to ensure you only get a quality automobile at a below-retail price. This Mercedes-Benz dealer has the best selection of brand new Mercedes-Benz models. They’re also the best place to find great deals on used Mercedes and other high-end previously owned cars. They also offer a full-fledged service department to keep your new (or new to you) car running and working like new. Land Rover combines the best of sports and luxury in each of their models, and you can score one right from the factory at Land Rover in Jackson. They offer all the latest from the brand, along with a selection of high-quality pre-owned cars. Find your new ultimate driving machine right here. They’ve got all the newest models from BMW, but that’s not all. You can also score major savings by shopping their pre-owned like-new inventory. SOLD!! CONGRATULATIONS to Roy Fowler and Amber Nicole Fowler on their purchase of a beautiful NEW BMW X5 35i Xdrive!!! New Lexus models, service and parts, high-quality pre-owned selection of Lexus and other models—you’ll never need to go anywhere else for a luxury car. Their fans love them because of the no-stress, straightforward buying process.